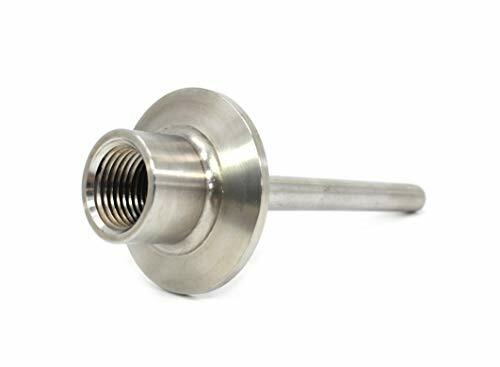 Application Thermowells for temperature instruments are recommended for all process systems where pressure, velocity or viscous, abrasive and corrosive materials are present individually or in combination. A properly selected thermowell will protect the temperature instrument from possible damage resulting from these process variables. 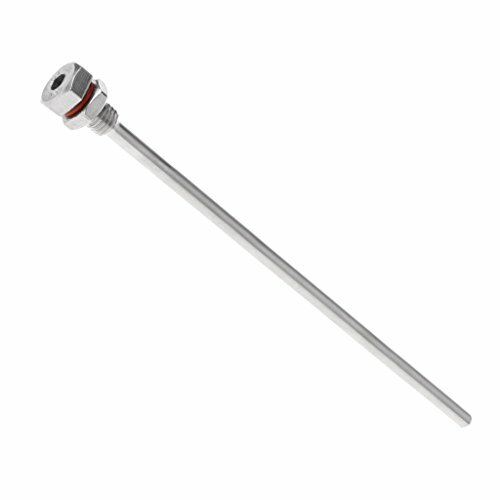 Furthermore, a thermowell permits removal of the temperature instrument for replacement, repair or testing without effecting the process media or the system. 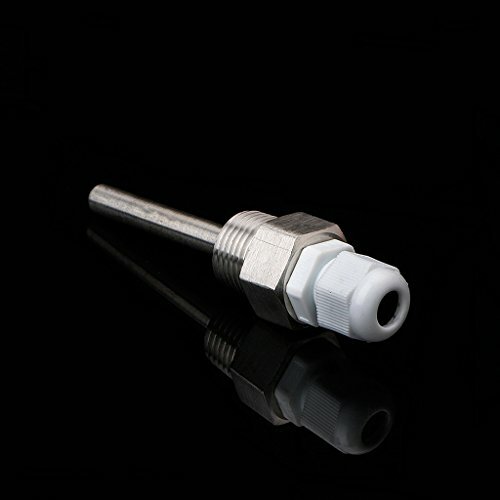 Process Connection: External means to connect thermowell to process piping system. 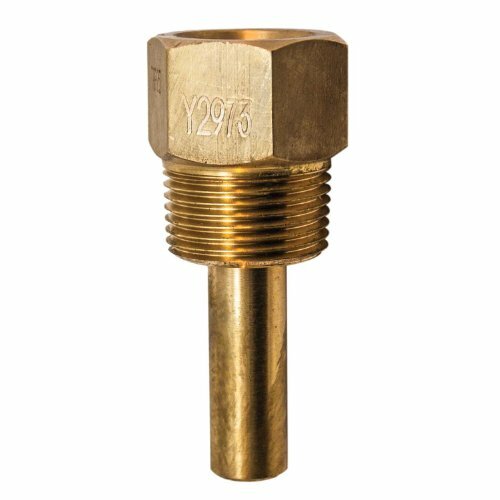 Wells can be threaded, bolted (to matching flange), clamped or welded in place. 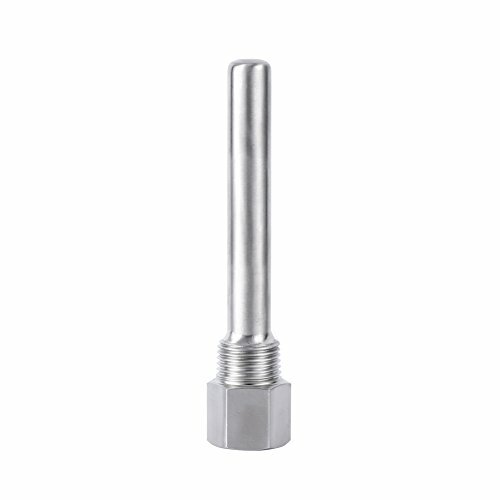 Bore Diameter: Dimension of internal bore to match the diameter of the instrument stem/bulb inserted into the well. 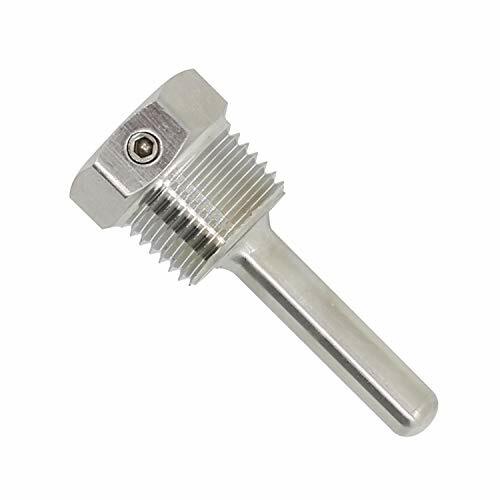 The 0.260" sizes fit instrument stem/bulb diameters of 1/4" and 3/8" respectively. Bore length equals "S" dimension. Reduced Shank: Also called reduced tip. The shank OD is reduced over the last 2-1/2" of the "U" dimension from the standard root diameter to a 1/2" OD. Standard stepped construction offering is complemented by an array of custom thermowells including: straight, tapered, sanitary and flanged configurations. CRN registered. RoHS compliant. Made of brass. 1 Year warranty. 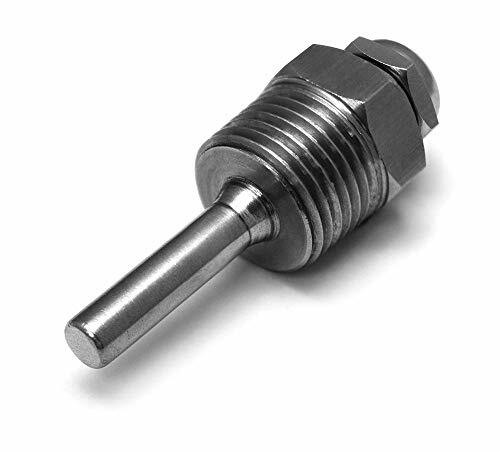 Process connection: 3/4" NPT connection standard. 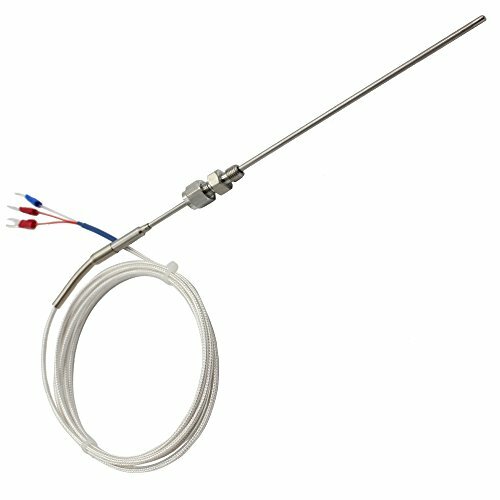 Applications: Allows for the creation of a sealed system, whereby the thermometer can be removed from the application without the need for shutting down or draining the system. To protect the thermometer from possible exposure to the process media. 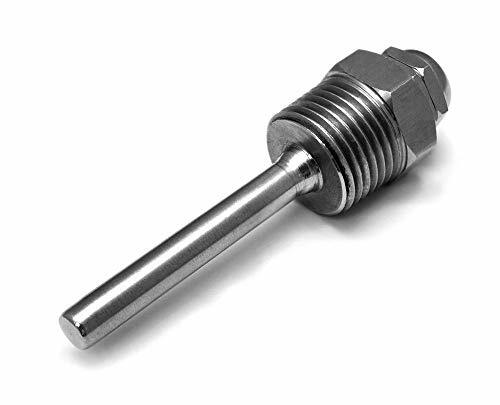 Thermometer connection: 1/2" NPT female connection standard. Bore: 0.260" bore standard. Construction: Stepped construction standard. 1-3/8" Standard insertion length. RoHS Compliant. 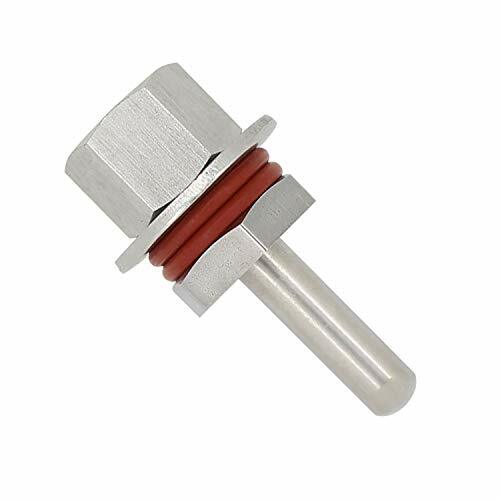 Hexagon Size: 2.3cm / 0.9"
Rod Diameter: 1.3cm / 0.51"
A quick fit thermowell protects your thermometer from possible damage. 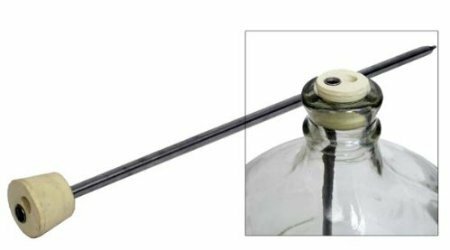 This carboy thermowell is used in conjunction with the digital thermostat to more accurately regulate internal temperature during fermentation. It is exceptionally useful during the start of fermentation when the lag between ambient temperature in the refrigerator and actual temperature in the carboy can vary greatly. Now you can keep your beer or wine within one degree of the set point on your digital controller. Designed to fit either the 5, 6 or 6.5 gallon glass carboys, or any other similarly sized opening hole, the unit comes with an 15' stainless steel thermowell and a 6.5 stopper. 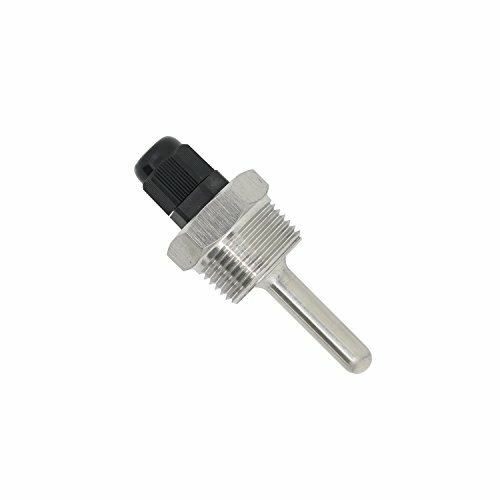 It can be used in any container with a stopper opening where you need to accurately monitor and control liquid temperature. 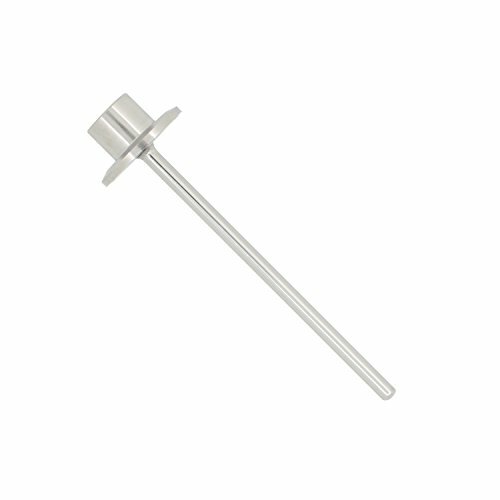 You can use this with your refrigerator for exact cooling temps, or use it with one of our heating products to control how warm your fermenter gets. Made of SUS304 stainless steel,100% Brand new and high quality. Waterproof, durable and long service life. No bubbles, no pinhole and other blemishes. 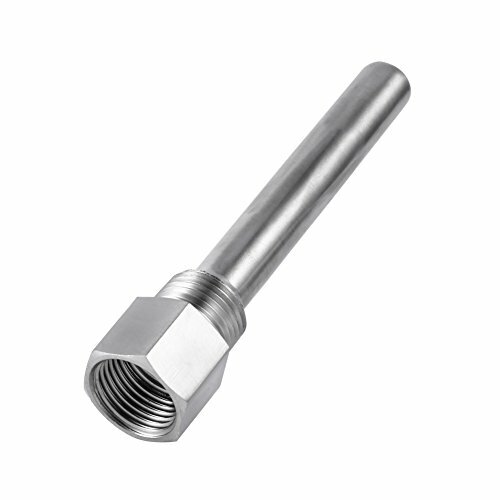 The inlet accepts 1/2 inch male pipe thread. 1. Please allow 1-3mm error due to manual measurement. Thanks for your understanding. 2. Monitors are not calibrated same, item color displayed in photos may be showing slightly different from the real object. Please take the real one as standard.